BIOS is a registered charity (No. 283936), governed by a Council elected at the Annual General Meeting, usually held in March/April. 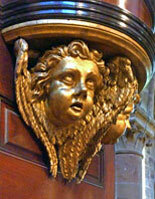 The Council currently has subcommittees dealing with Publications and with the Historic Organ Listing Scheme. 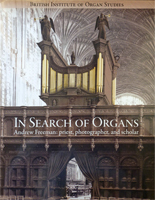 Council also has members participating in Joint Committees with the University of Birmingham (for the British Organ Archive) and with The Royal College of Organists (for the National Pipe Organ Register). Chairman, Secretary, Treasurer, Membership Secretary, Meetings Officer, Casework Officer, and Publications Officer, all as shown to the right, plus Gordon Curtis, Christopher Gray, Colin Menzies OBE, Dr David Shuker, Mark Venning and Dr Jeffrey West. 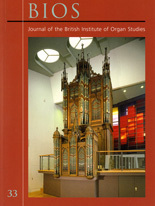 BIOS has established three restricted accounts, one a dedicated fund supporting the Archive, a second dedicated to the HOSA project, and the other an Endowment Fund, the income from which can in appropriate circumstances be made available for special projects and purchases to further the Institute's activities, though we do not have funds to directly finance restoration work on organs. Individuals or organisations who might be considering supporting the aims and activities of BIOS in general, or in relation to particular tasks, by making a grant or donation of any kind as a single or by regular payment, or as a bequest in a Will, are welcome to contact the Hon.Treasurer to discuss opportunities.